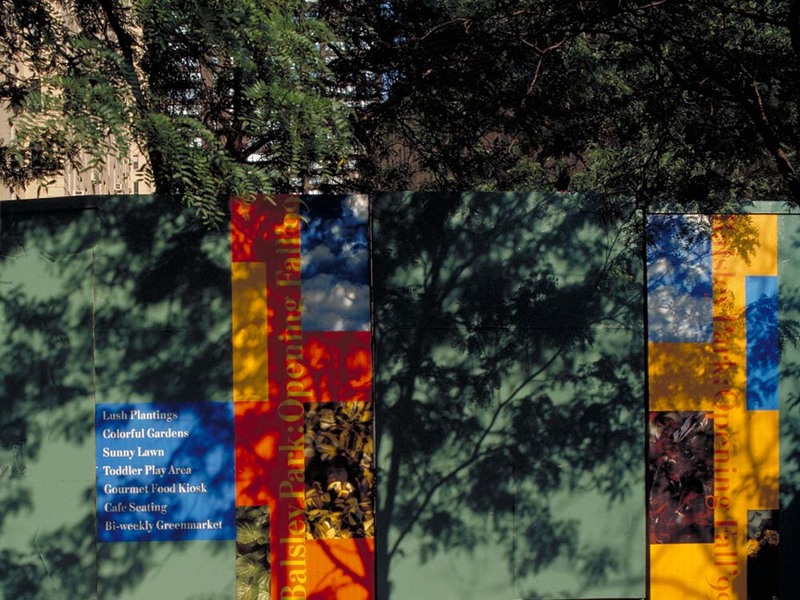 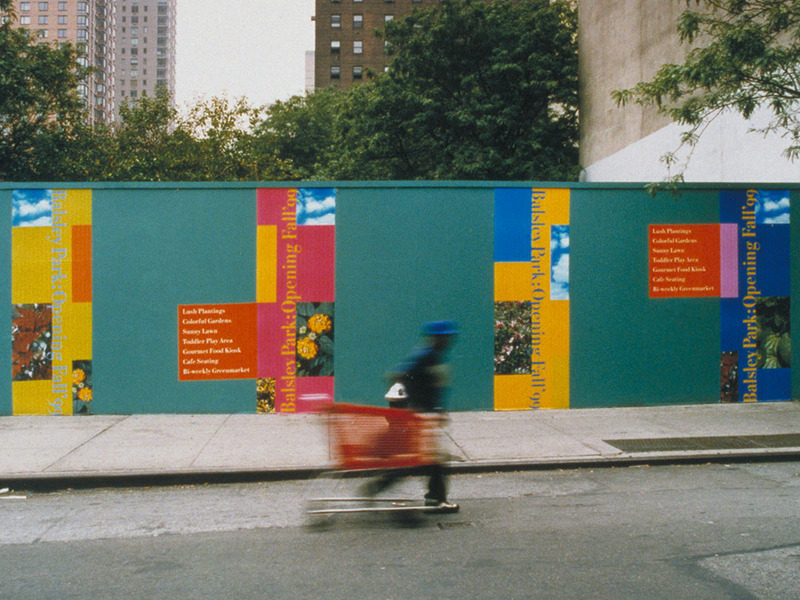 Thomas Balsley Associates, a New York based landscape architecture firm, asked us to design graphics for a construction fence for an upcoming urban park. 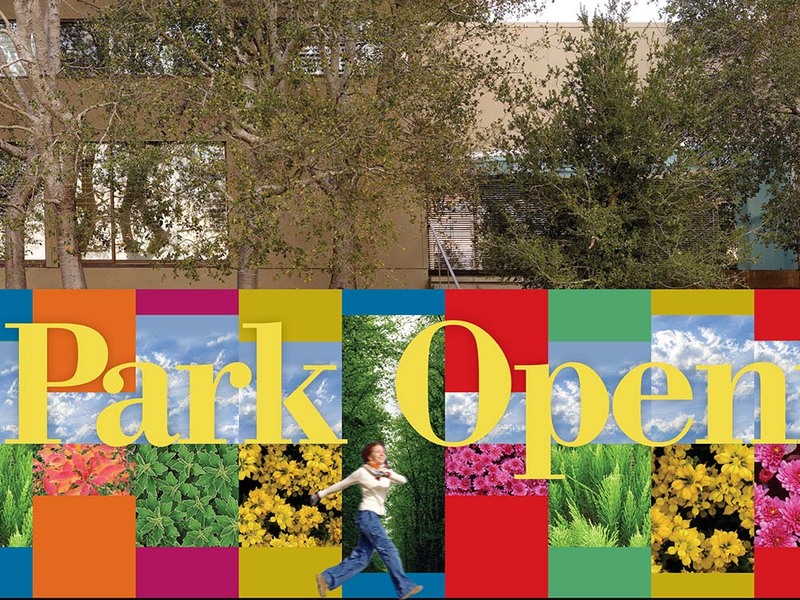 We created an exciting visual message that at a glance expressed the nature of the future site and at a closer look, informed viewers of the amenities the new park offers. 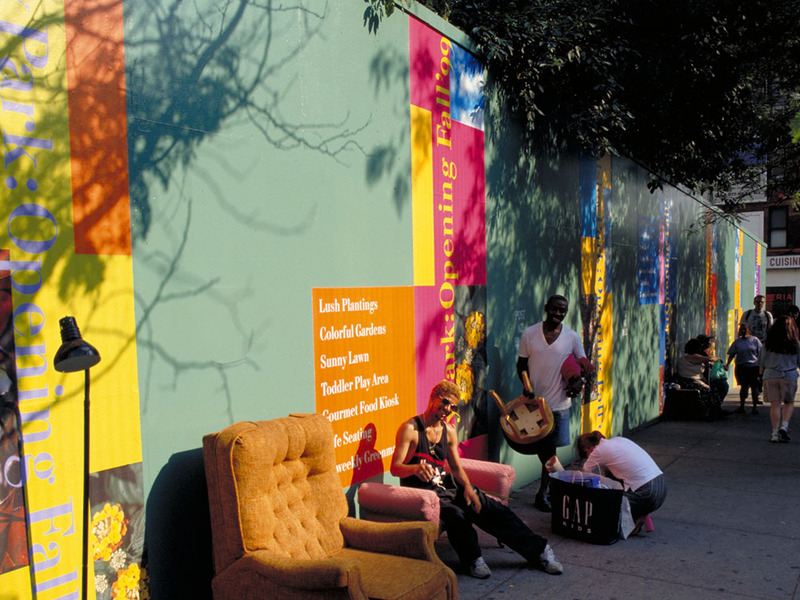 The barricade, 3000 ft long wrapped around three sides of a Manhattan block and had become a welcomed addition to the neighborhood, especially during weekend flee market.